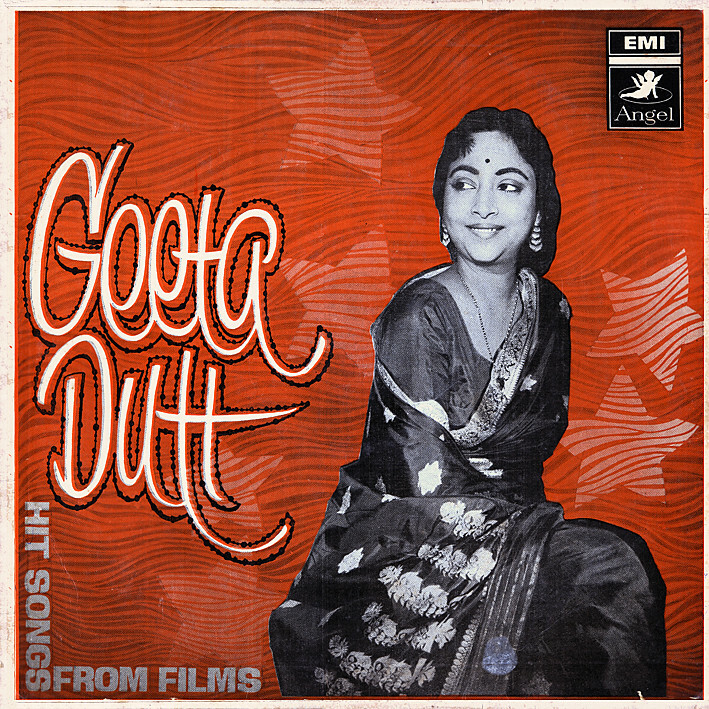 I don't often buy compilations, be they of film music or otherwise, but when there's a Geeta Dutt album sitting inexpensive and unloved on eBay... that's hard to resist. And she's my favourite playback singer. Funny that actually, considering she was long before the period in Bollywood film music I usually prefer. Something about her voice though… Music critic Raju Bharatan said "The first thing that strikes one when you hear Geeta Dutt sing was that she never sang. She just glided through a tune. Of all her contemporaries her musical training was perhaps the sketchiest but what she lacked in training and technique, she more than made up with her ability to breathe life and emotion into any song she was singing." Highlights? There are 12 of them. This is an amazing Bollywood find and offering! Agree - this is a great album that takes a place of pride in my vinyl collection too! Glad that you got a copy of it. Geeta Dutt is an amazing singer, and an incredibly beautiful lady. She was to star in a movie (gauri / Gouri) made by Guru Dutt, but unfortunately the plans went as far as a couple of songs being recorded and some publicity stills (http://2.bp.blogspot.com/_0MMJ-iuP3bo/S9IR6WRI67I/AAAAAAAADcs/finCzL2JlUc/s1600/gouri.jpg) before their marriage broke up. A slight correction to the track listing above - the song from CID (track 8) is called "Jata kahan hai diwane". Good album PC and thanks! You're absolutely right, thanks for pointing that out – duly corrected. I'd read about the shelved film; seems as if personal issues put an end to that, and to a certain extent her career as well. Thanks PC. Excellent. But shouldn't have they included Helen's Mera Naam Chin Chin Chu? I suppose, but you can't fit them all into a single LP. Maybe Mera Naam Chin Chin Chu didn't have the iconic status it has today as early as 1969?